OIL Search has registered another upbeat monthly drilling report for December in relation to P’nyang South 2/P’nyang South 2 ST1 appraisal work.The company noted that the appraisal well, in Papua New Guinea's north-west Highlands, which spudded on October 22 last year, targeted the Toro Digimu and Emuk Sandstones. 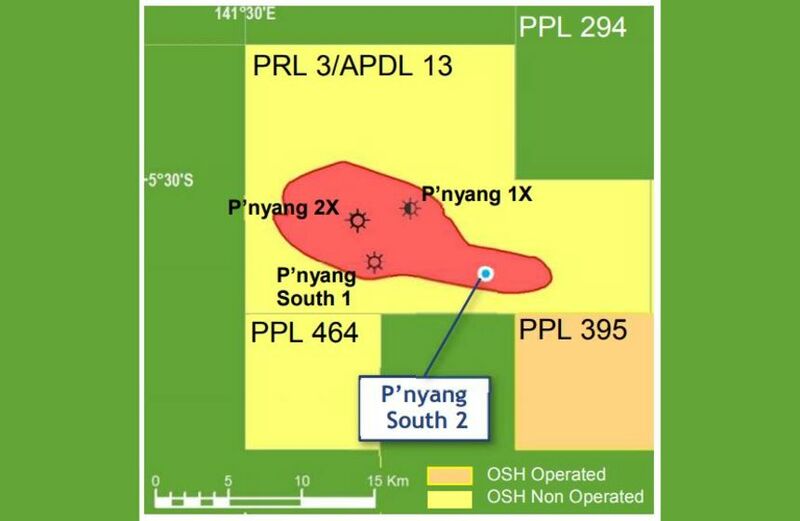 "The objective of P'nyang South 2 is to migrate 2C (proven and probable) gas resource volumes to the 1C (proven) category as well as appraise 2C resource upside potential identified in the south-eastern part of the field," Oil Search said. On the technicalities, the company said that during the month, 9-5/8" casing was set at 1981m and the well was cored and then drilled in an 8-1/2" hole through the formations to a total depth of 2275m. "Cores were cut through the Toro A and C units and pressure data was acquired. The Toro and Digimu Formation sands are interpreted to be hydrocarbon (gas) saturated with good reservoir quality. "This is in line with Oil Search's pre-drill prognosis and has confirmed the presence of gas in this part of the field," Oil Search said.